MIDDLETOWN, N.Y. (November 14, 2018) – Middletown Medical, the Hudson Valley’s premier provider of healthcare services, is pleased to announce the addition of licensed family nurse practitioner Marion Candida Hayes, MSN, APRN, FNP-BC, to its team of healthcare professionals. Ms. Hayes will be serving Middletown Medical patients within the Cardiology Department alongside Dr. Rishi Bajaj. Ms. Hayes is board-certified by the American Nurses Credentialing Center. Ms. Hayes has served in the medical profession as both a nurse practitioner and as a registered nurse. 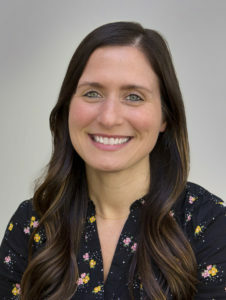 She has worked in a variety of medical specialties throughout her career, including gastroenterology, progressive care, primary care, and urgent care. Ms. Hayes earned her Master of Science in Nursing in the Family Nurse Practitioner program at Mount Saint Mary College in Newburgh, N.Y. She holds a Bachelor of Science in Nursing from Mount Saint Mary College in Newburgh, N.Y. and a Bachelor of Science in Biomedical Sciences from Marist College in Poughkeepsie, N.Y.
Ms. Hayes is currently welcoming new patients at the Middletown office. To schedule an appointment, call Middletown Medical at 845.342.4774. This entry was posted in Community, Health & Wellness, Health Care, News. Bookmark the permalink.